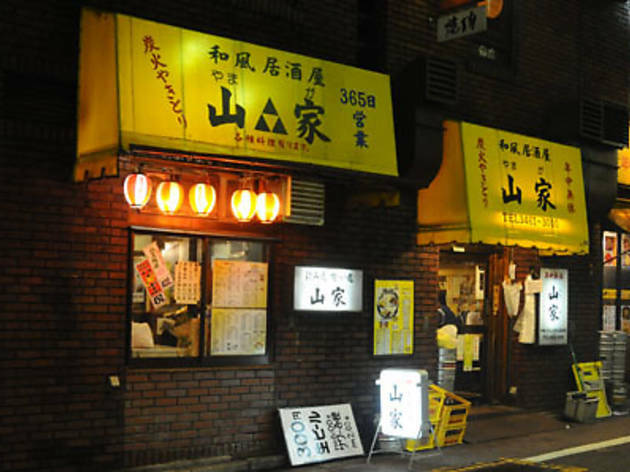 An old and relaxed izakaya located approximately three minutes' walk from Shibuya Station (from the Inokashira Line entrance/exit), Yamaga serves mainly yakitori and, unlike most other izakaya, is open 24 hours. To encourage people to arrive early they offer a special ‘service time’, during which everything on the menu comes at a reduced price. 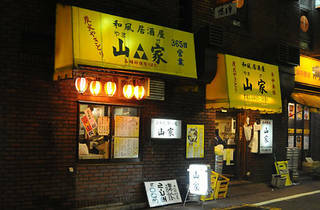 When combined with Yamaga Shiten, located right next door, they have enough space to seat somewhere near 300 customers.